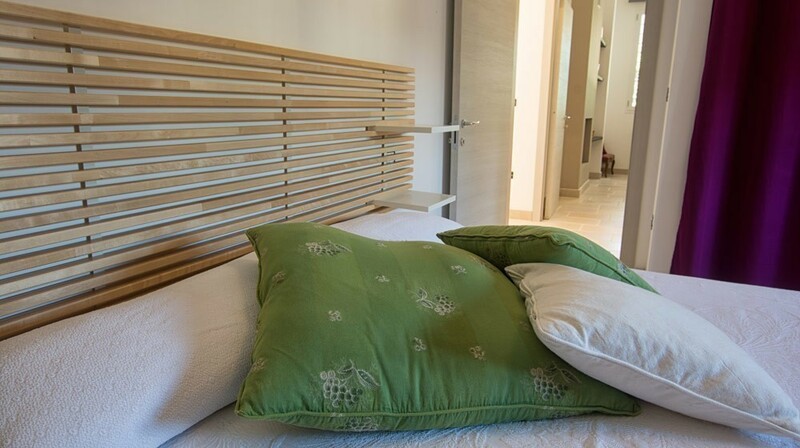 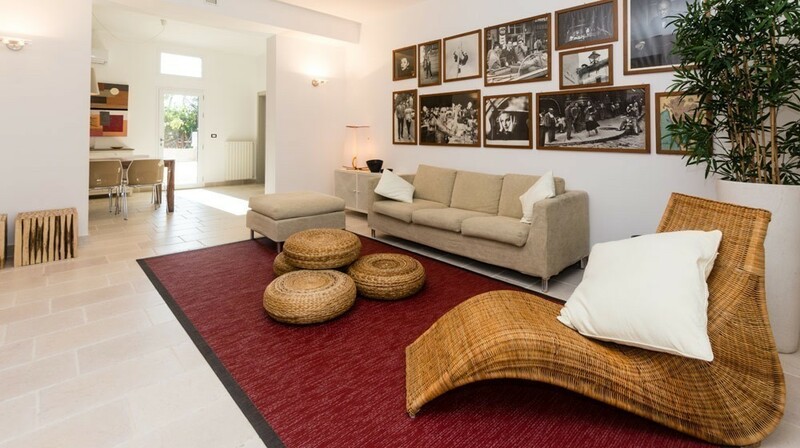 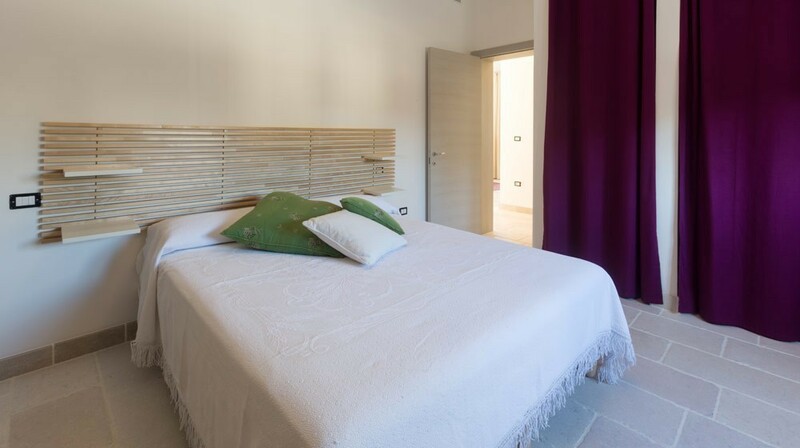 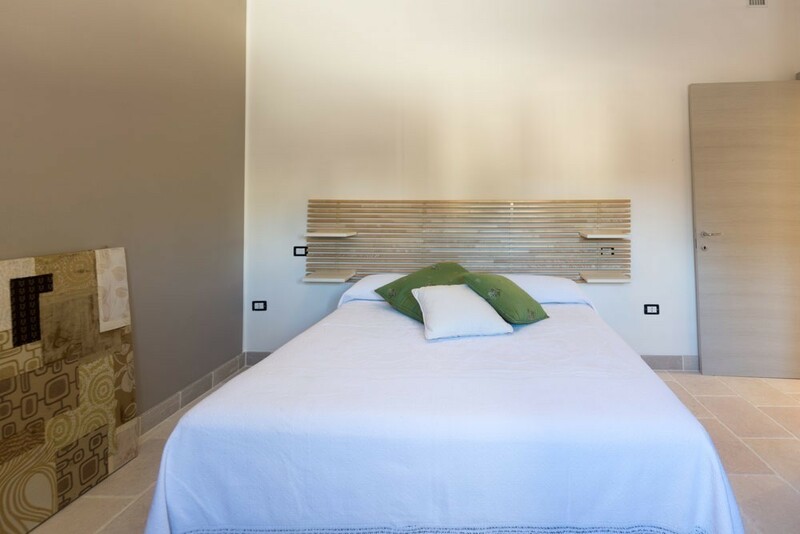 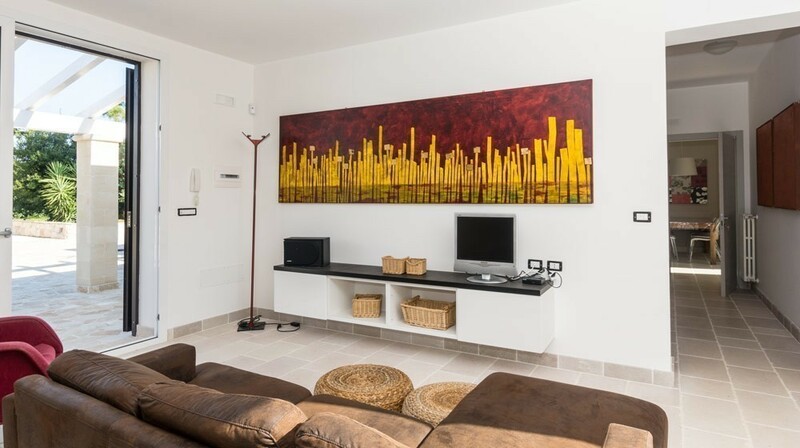 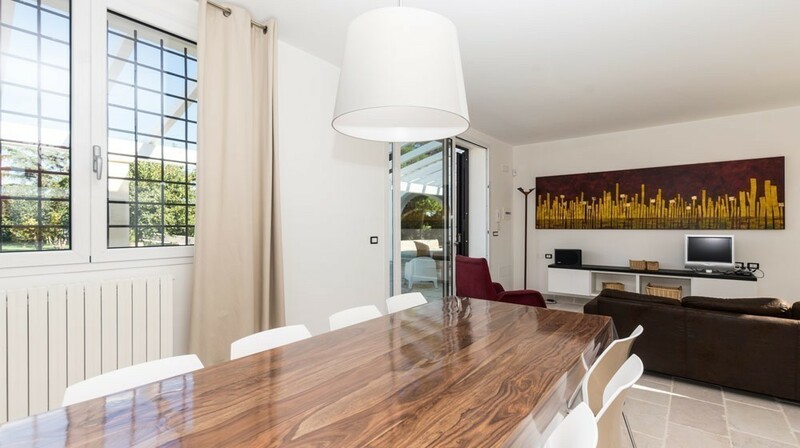 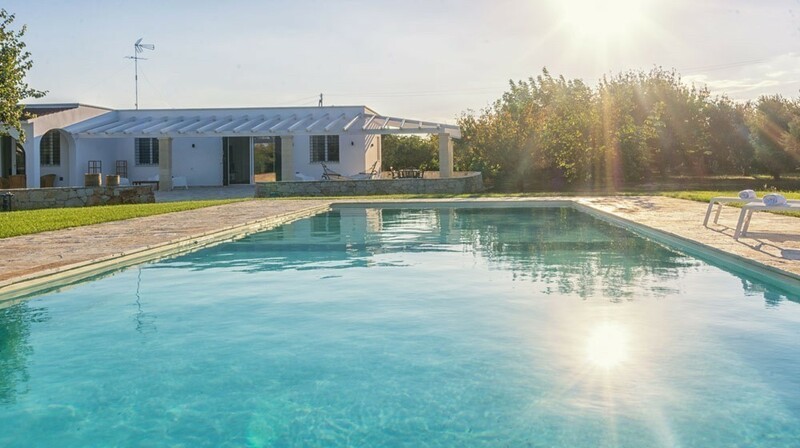 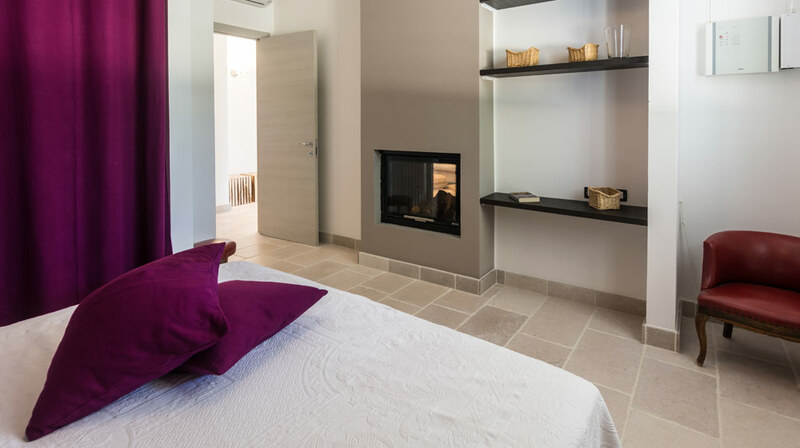 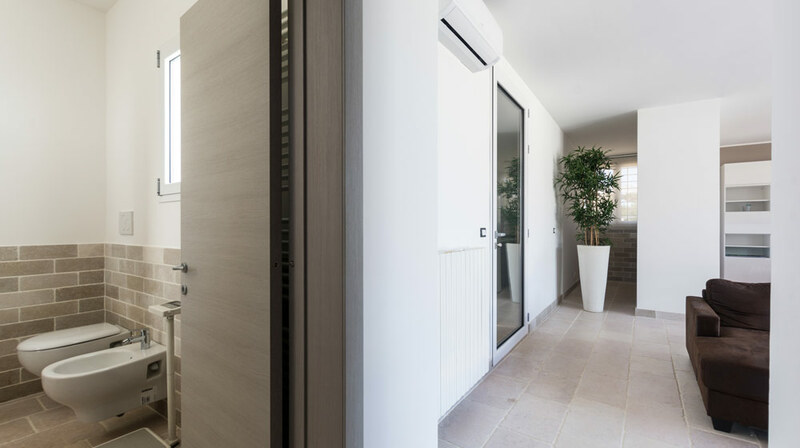 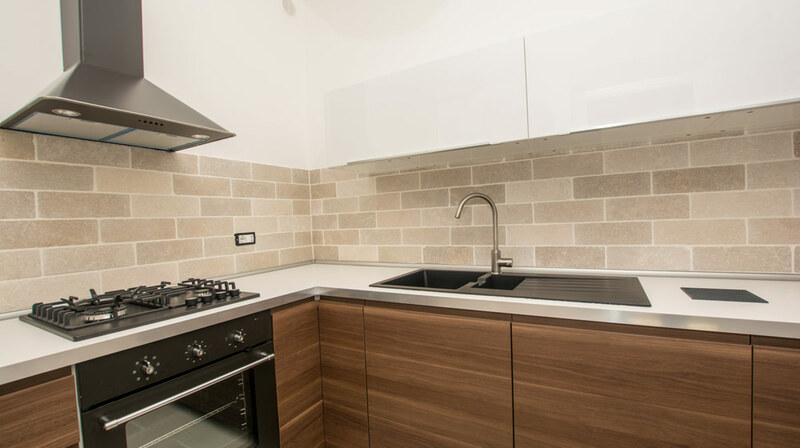 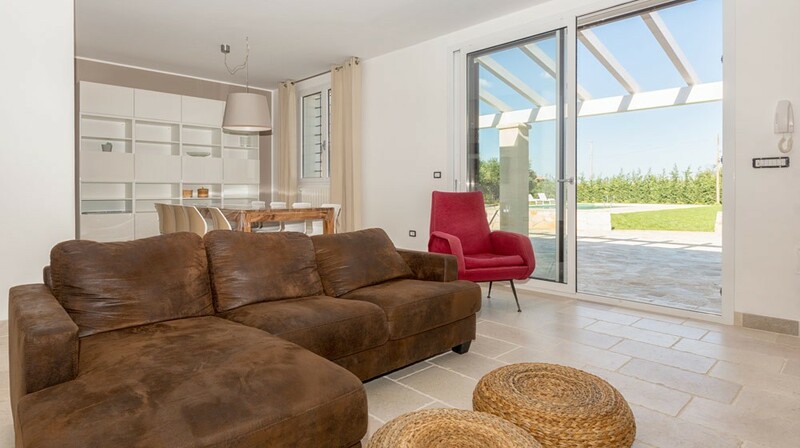 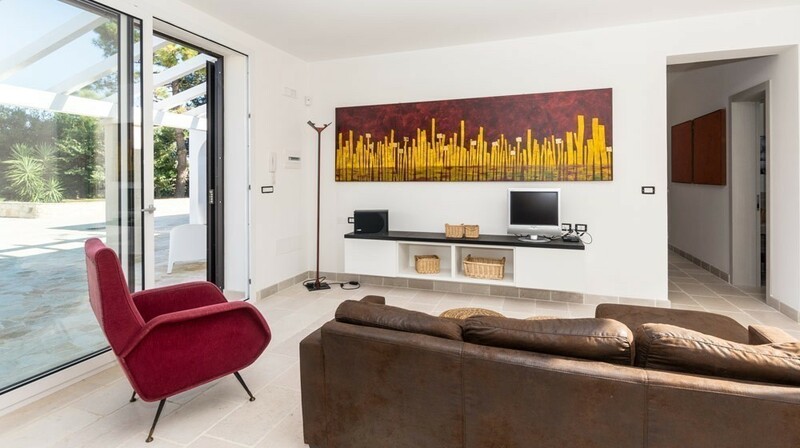 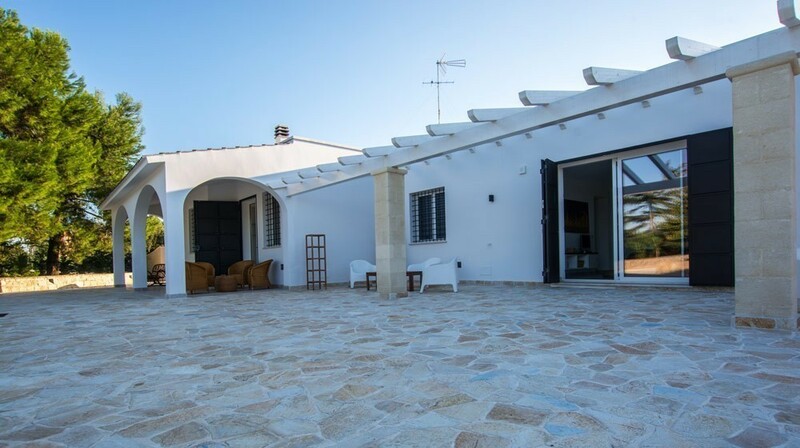 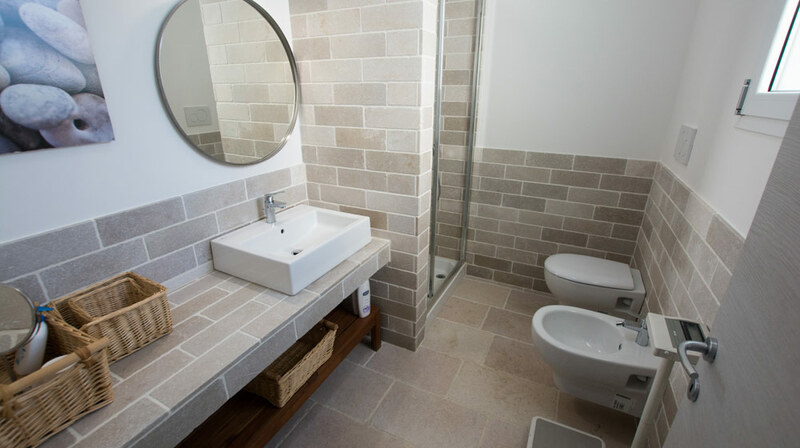 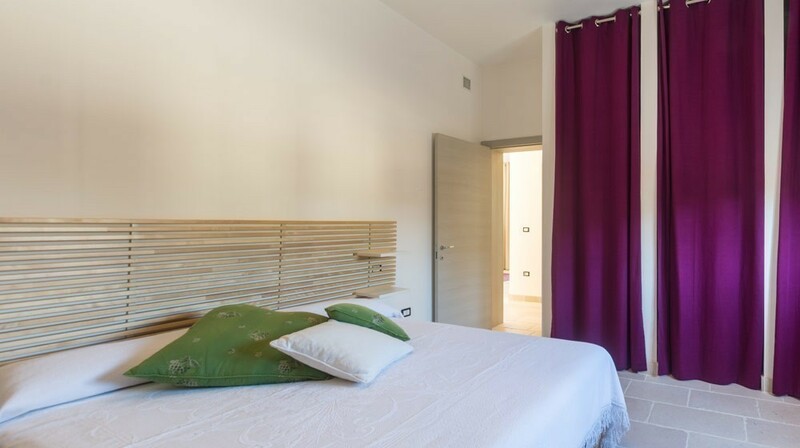 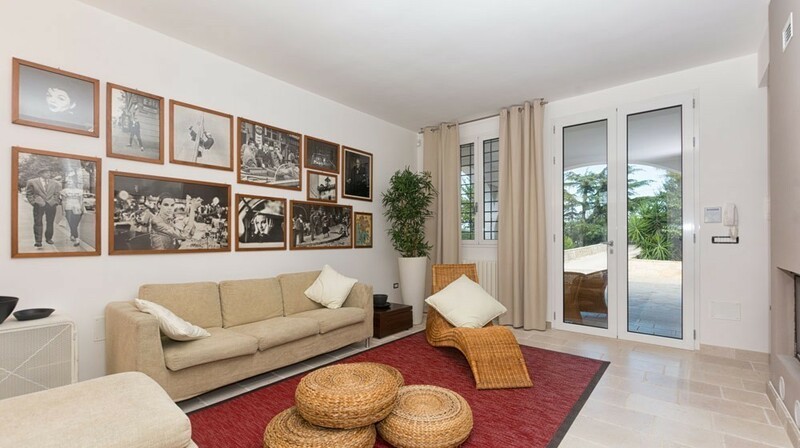 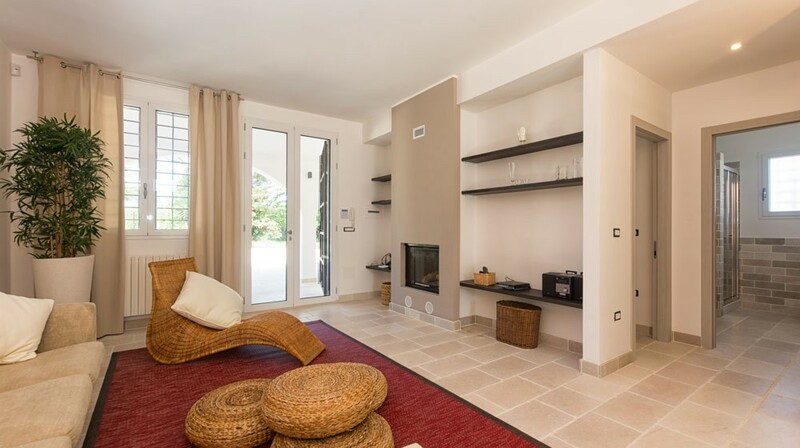 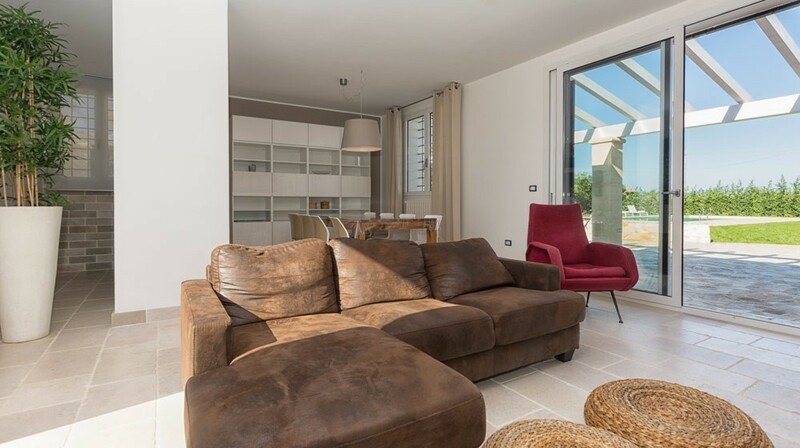 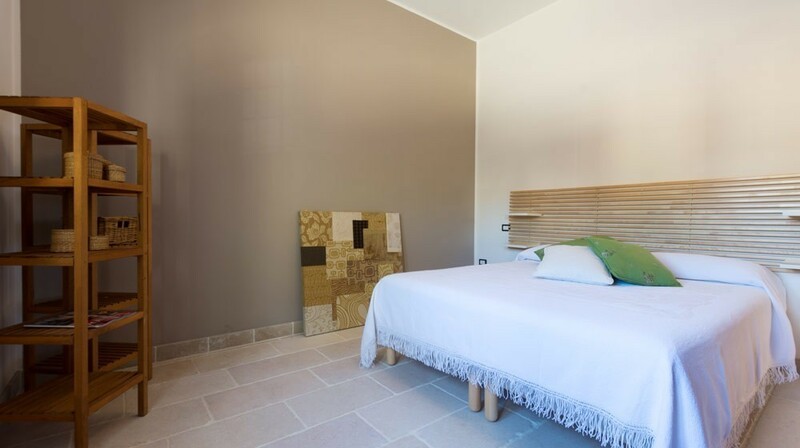 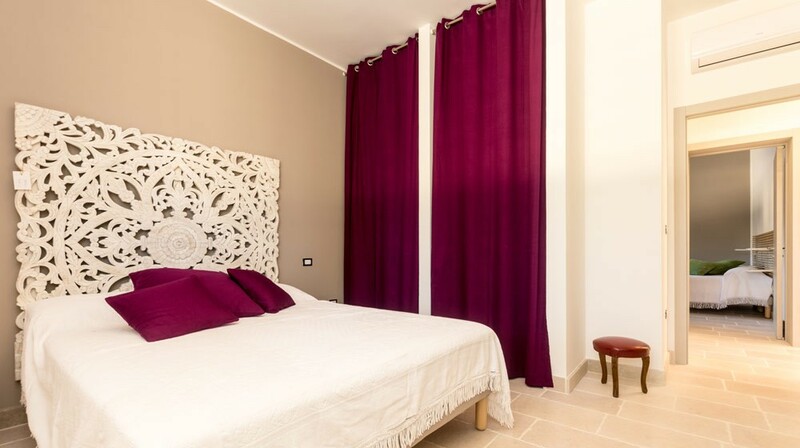 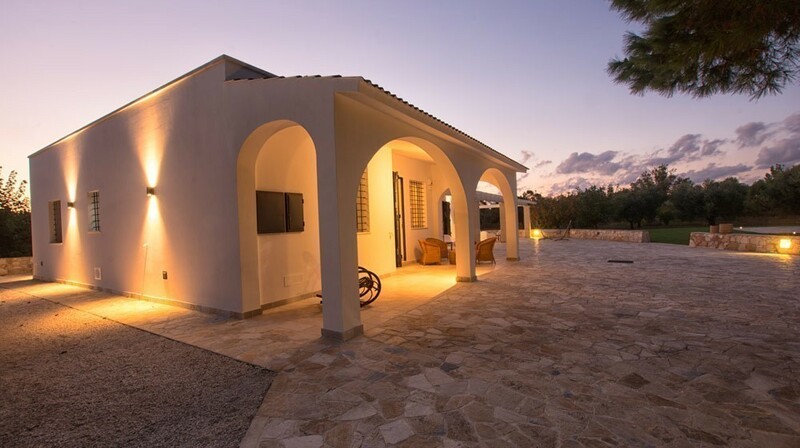 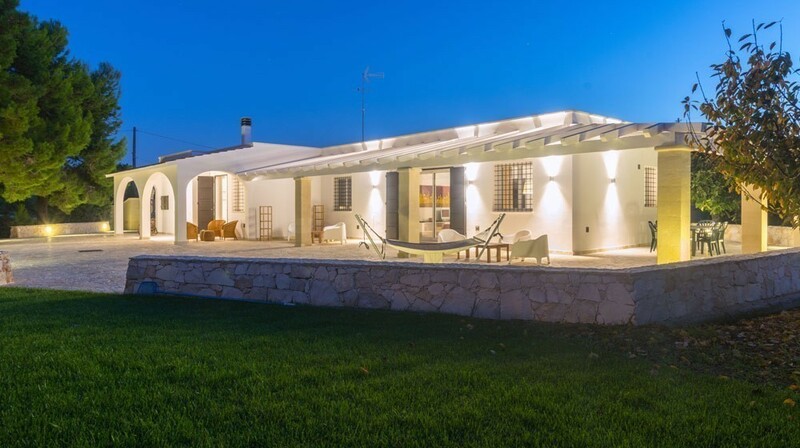 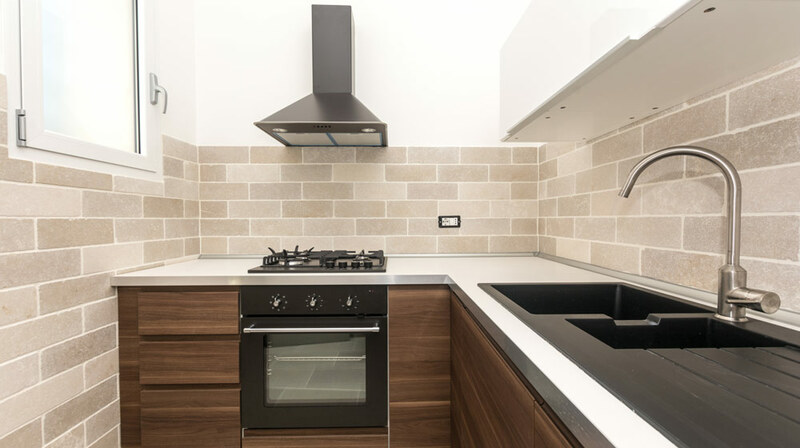 A fine property in modern minimalist style, Villa Oriana offers large airy rooms and fully equipped external areas, so an ideal venue for relaxation and entertaining. 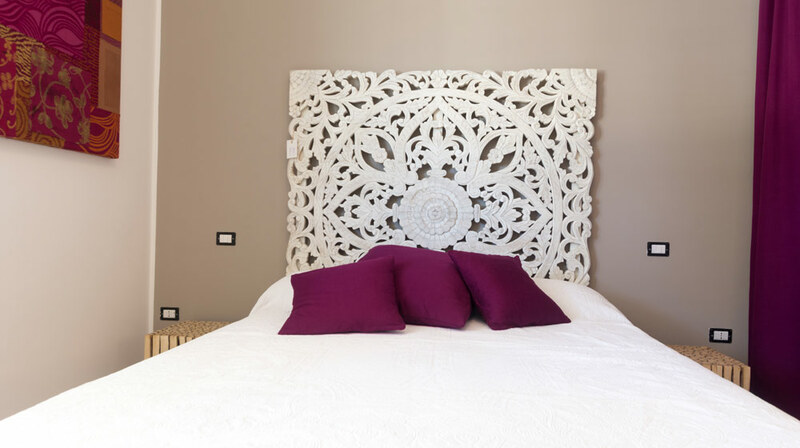 The interiors are large and luminous, with walls decorated in soft pastel shades matching the warm colours of the soft furnishings, decorations and accessories. 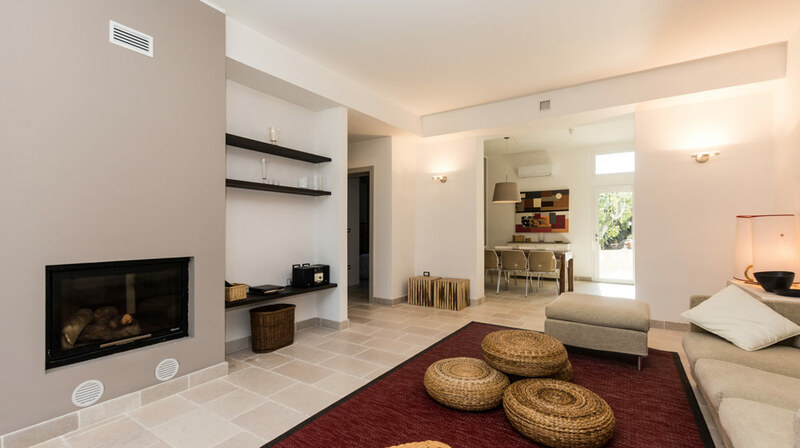 The layout of the villa makes it ideal for a family with friends, or two families. 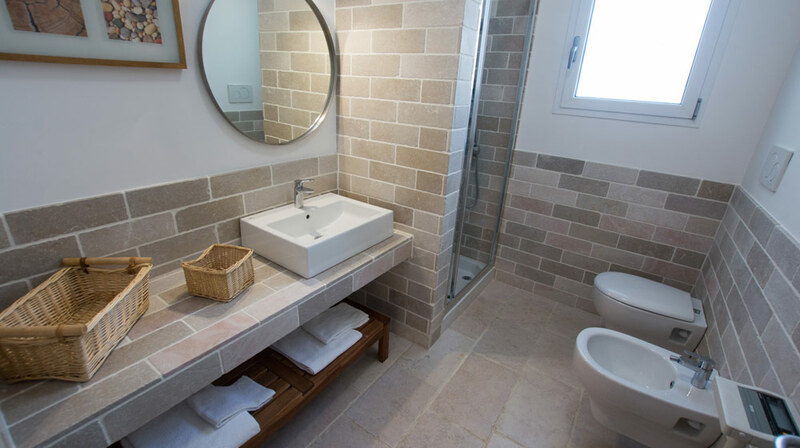 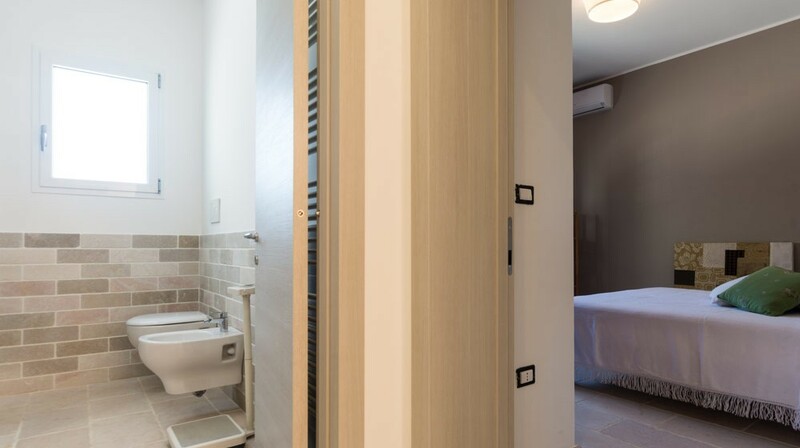 Indeed, the villa comprises two almost independent accommodation units, divided by a door: on one side, a living room and dining room with kitchenette, double bedroom and ensuite bathroom; on the other, a second living room with fireplace, dining room with kitchenette, two double bedrooms and en-suite bathroom. 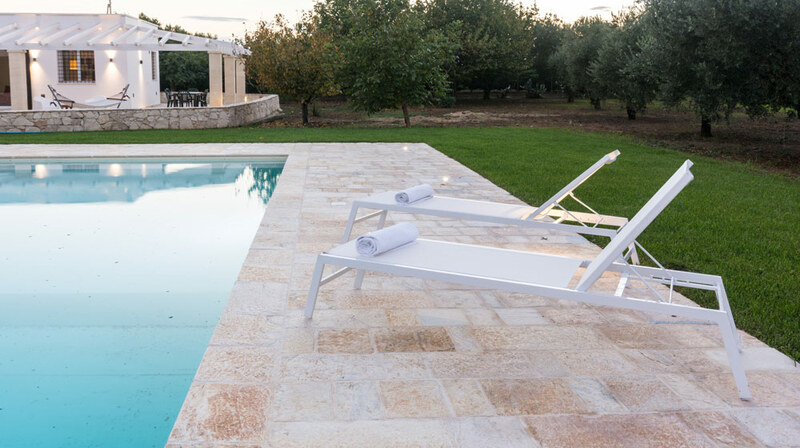 The villa is set in large private grounds of 5000 m2, with a Mediterranean garden for strolls among apple, orange, fig and almond trees. 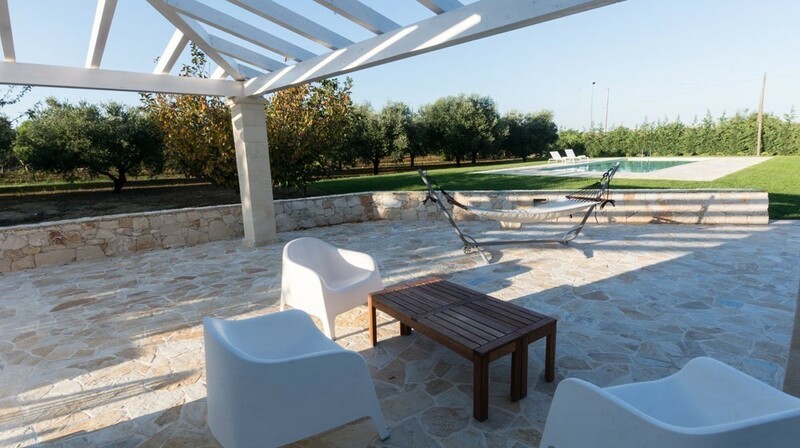 Close to the barbecue area, in a charming herb garden, you will find all the herbs needed to prepare exquisite, fanciful dishes. 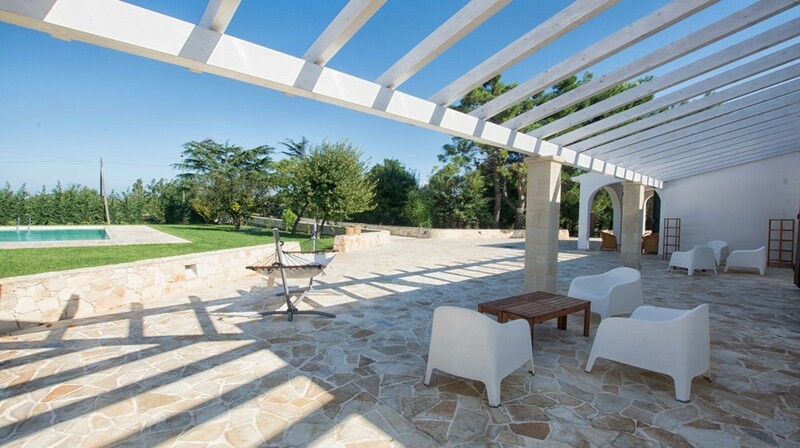 Villa Oriana faces on to the garden with a wooden veranda of 25 m2, ideal for breakfast. 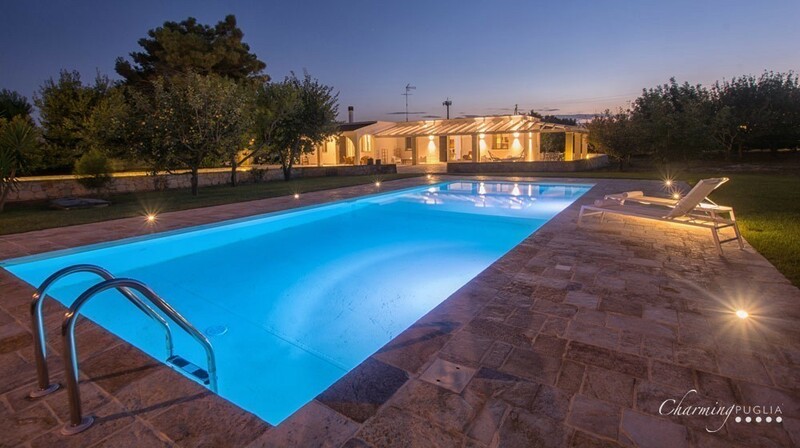 A few steps away, surrounded by velvet smooth lawns, is a fine seawater pool (13x4 m), ideal for use by the kids too. 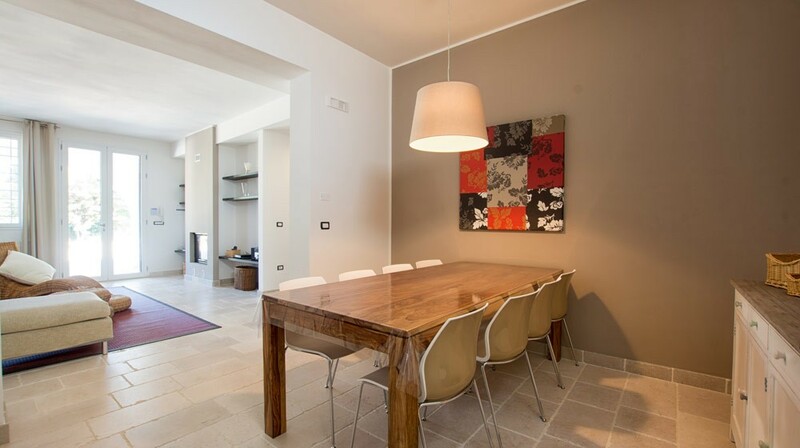 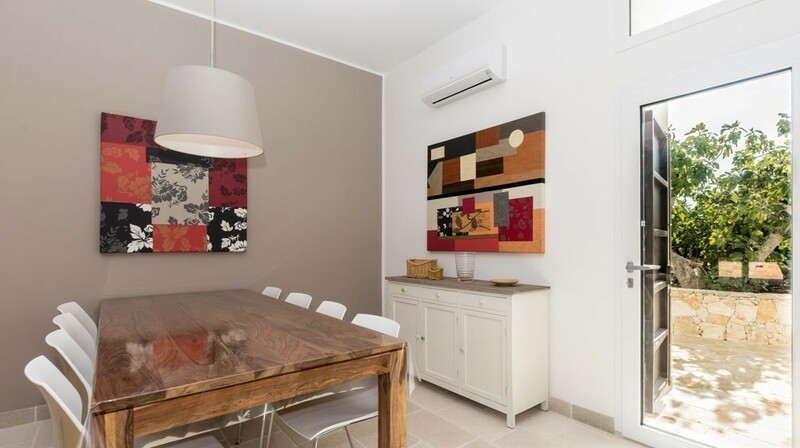 This property is on the outskirts of Mesagne, a lively small historic town set on the Via Appia. 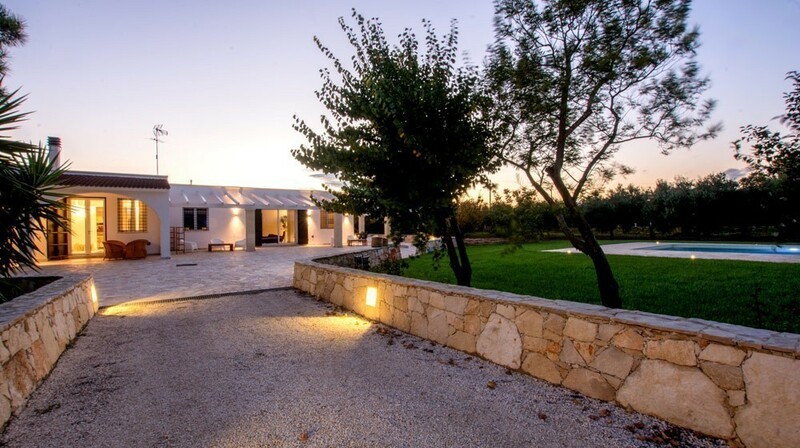 The town itself has interesting heritage attractions, while visits are also recommended to nearby Ostuni, Brindisi and Lecce. 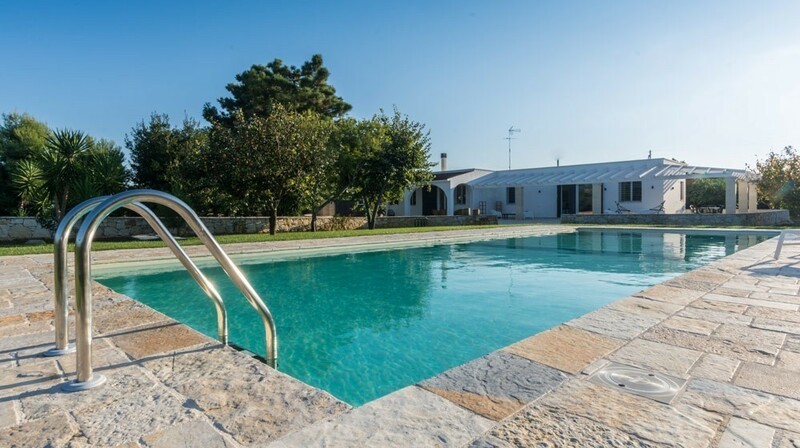 Set half way between the Adriatic and Ionian seas, from Mesagne you can easily reach the excellent beaches of both coasts.